Profiles and photos of women you can meet on your vacation. 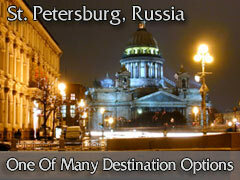 Destination options offer travel coverage on four continents. Find out alternative here. To find out more or make your reservations. What Is A Dental Health + Singles Vacations? At first thought, it may seem a bit strange to combine the objectives of romance and dental surgery or treatments - into a singles vacation package! But, if you are a single man who would like to seriously explore opportunities of finding a special woman and also have some dental health issues that you would seriously like to resolve, then why not? Especially if there is a very logical opportunity to do so. Millions of single men explore and participate in singles vacations and other singles related services and events every year in the hope of meeting a special woman. Likewise every year, millions of men seek out and invest in expensive dental surgeries and other cosmetic care and treatments. Dental Surgery Vacations has created this opportunity having grown into one of the largest international singles introduction and vacation tour companies for men and having established a proprietary presence in more than ten foreign countries on four continents. After successfully serving thousands of single men over the years, the desire and demand to combine two outstanding options into one outstanding vacation package was clearly there. With our sound and successful international presence, there was little question that we had the expertise to combine these TWO basic desires and needs of single men into ONE exciting and rewarding foreign adventure. Considering the cost and medical - dental insurance atmosphere for cosmetic medical treatments in the United States and numerous European countries, there were excellent opportunities for men to obtain identical treatments from very skilled and highly trained dentists, orthodontists and clinics within the very countries where we already had established proprietary offices, staff and professional experience to service our singles clientele. And there are strong ongoing arguments that the actual dental care is, perhaps, even superior to that of similar dentists, orthodontists and dental clinics within these U.S. and European countries. There is, however, really NO ARGUMENT that the cost of these cosmetic dental treatment options are considerably lower in many of these foreign countries for similar or better results, as well as the overall experience. In reality, costs can be so much lower that it starts to make real sense whatever your romantic status or ambitions are. To summarize, a dental surgery and singles romance vacation tour rolls three exciting aspects all into one package for single men: A: The opportunity to visit an exciting foreign city, accompanied by our staff and other singles of all ages, that is rich with culture, history, excitement and fun; B: You have the opportunity to very cost efficiently address your dental and cosmetic treatment needs, whatever they may be; C: You have, perhaps most rewarding, opportunity to meet virtually hundreds of lovely, single women of all ages who are very serious about meeting a genuine man to spend their life with. But, when we tell you that you can realistically enjoy and accomplish all of this for often much less cost than simply getting your desired dental health treatments in your own country, we hope you are motivated to continue exploring your options. It's a true opportunity for you that justifies further investigation. Singles vacations and cost efficient dental health care combined in an exciting foreign detination! "I was as pessimistic and skeptical as anyone could be (about these singles vacations). I stand corrected. It ranks among the best experiences I ever had."